Bob Marley, JAD Record's Bob Marley Reggae Rasta Site!  The early work of Bob Marley and the Wailers is to be re-released by Universal Music International through a 10-year licensing deal the company has signed with JAD Records. The collection, which spans 211 recordings made between 1967 and 1972, includes rare and unreleased tracks. A source close to the deal says it should put up a warning flag to those retailers trading in unlicensed Bob Marley & The Wailers catalogue to clear their shelves of unauthorised material. Universal Music already own work by Bob Marley & The Wailers, recorded for Island Records between 1972 and 1980. These include the albums Catch A Fire, Exodus, and Kaya. The deal will see the children of Bob Marley, the Estate of Peter Tosh and the last surviving Wailer, Bunny Wailer, receiving royalties from sales of this period of Bob Marley & The Wailers career. JAD Records to announce a new global partnership - 12/01/2004. For further details as they arise join the mailing list. In the mean time the JAD site will be closed. soon come!